Lepidium draba (hoary cress) is a perennial herb (family Brassicaceae) found most commonly in riparian areas and marshes of the central coast of California. It is also found in the southwestern region of the state, the Sacramento Valley, and the Klamath Range, where it is very invasive. This plant quickly colonizes disturbed sites, irrigated agricultural fields, roadsides and ditches. Hoary cress reproduces by seed and vegetatively from its extensive root system. Plants may resprout from small root fragments, especially where the soil is moist. 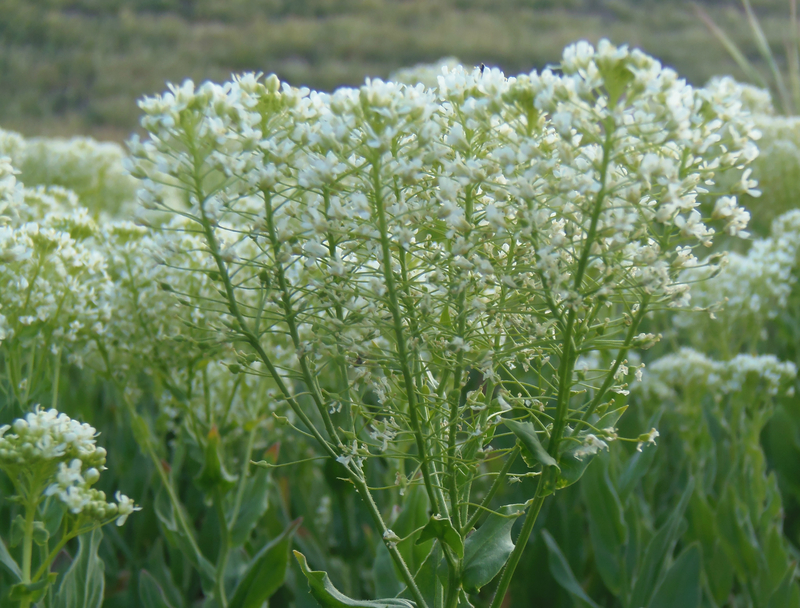 Hoary cress also spreads rapidly due to its prolific seed production, but extensive control efforts have decreased the rate of spread in recent years.